Goechala is situated in the state of Sikkim which is a perfect destination for adventure lovers. Trekking in Sikkim is extravagant with flourishing valleys, fine-looking orchards and dark forests. Its unrivaled collection of flora and fauna, add charisma to the adventure of trekking expedition with verdant green peak trails of Sikkim. Darjeeling is the doorway to Sikkim. These base camps have many splendid peaks like Kanchenjunga peak, which is one of the most superlative and stunning peaks of the Himalayan Range. The tremendously tough terrains that are often the preference of the qualified trekkers are on the peak, with snowy crest of the famed Himalayas. There are many peaks like Kabru, Yokhum, Ratong peaks which look very pretty and gives are breathtaking view. They are located on high altitude from where you can see the lovely sightsee of mountains. To the west you can move forward to the edge of Kyangla boundary. The trek to Goechala actually route in the region of the Kanchenjunga National Park that is open to guests. The trek is customary which follows a pictorial route lush flora and magnificent mass views until it reach a high bypass. The route passes through tropical and coniferous woodland and the moist dell are home to a copious array of flora and fauna. Sikkim is renowned for its orchid's flowers garland which mesmerize you. The Himalayan bear, multicolored pheasants and a fusion of birds. Goechala trek is an admired trek which will add cherishable memories. The trek starts from Yuksom and through Sachen pass, it joins the conventional Dzongri-Goechala trail. The Ridge is really gorgeous and full of exciting activity whereas the Goechala pass is the decisive destination for the magnificent sight of Mountain Kabru and Kanchenjunga. Next day you will trail descend steep forest to the overpass on the Dzongri-Goechala track after walking an hour from then you will reach to Tshoka. The trek comprises the big grazing land and opaque forest which comes in way. Day by day you are enjoying your trek more and more as you can feel the essence of beautiful landscape views. The climb to the Dzongri top is very pretty and hefty too. There when you will move further to Black Kabru Pandim, Kabru North, Kabru Dome and many peaks. The feeling of the sun waves warming our solid bodies is really a wonderful experience. After packing our bags we started for another destination to other camp spot for the day Thensing. A very striking place, opaque mist packed forest, bubble RathongChu river and fat mat of grassland and plants on the ground. Next stop is Pandim and the preliminary part of the journey takes you down to the bank of the river. It overlook the Talung dale and guidelines a very inspiring view of the mountain. The way down is swift and the night halt is at Kokchurung where you can stay and enjoy luscious dinner. After the finishing point of your trek you will move early in the morning and return back to Yuksom by air route or by road. Finally an unforgettable trek came to an end and all travelogues have enjoyed wonderful experience. • Pass through Police Check Post at Melli. Foreigners need Inner Line Permit (ILP) – the driver will help get it. Procedure takes half-an-hour. • Base camp at Yuksom. Overnight in guest house. • No shops on the trail. Erratic telecom network. Abundant water sources. • Have packed lunch en route. • Trail through dense forests, with frequent ascent and descent. • Trail passes through three iron bridges (Gradual ascent till the first bridge, steep ascent for 20 min then gradual descent till second bridge and gradual ascent till third bridge. Walk for half an hour to the camp site. • Be careful on trails as it stays busy with animals like yak and mules. Make way for the animals by sticking to the mountain side. • Siachin campsite is in the forest, so accommodation in tents. • For the first hour, trail is rocky, for two hours it is wooden trail and once again rocky, zig-zag trail till camp site. • Instructions: Do not sleep, especially inside the tents, during the day. Go for small walks and explore the vicinity. • Move ahead of View Point 2, if weather allows. Trekking in Sikkim the beautiful journey for Goechala begins from New Jalpaiguri Station where our representative will cordially welcome you at around 10am. The schedule for the day includes a long drive to Yuksom which is about 150kms away and takes about 8 hours to drive, if the road congestion is minimal. So, after the meeting it’s an immediate start for the destination. Yuksom is one of the historical towns of Sikkim which provides enough glimpses of the rich heritage and religious traditions, so prominent of the state. Being once the capital of the state, Yuksom poses to have multiple attractions in terms of culture, community and peaceful serene environment that exceed the expectation of every traveller. On the way from New Jalpaiguri to Yuksom, there are two official paper works that needs to be done to fetch the necessary permission for the hiking trip. The first one is to take due permission from the police station based at Melli to ensure that official records are kept of the trekking expedition and to also have safety along the way. The paperwork includes filling up basic informations and providing two passport size photographs which needs to be affixed in the form. For the foreign nationals the rules are little different and they need to collect ILP or Inner Line Permit to continue the journey. However the travellers need not worry about the same as the drivers will help fetching it but it will take not less than half an hour to complete the formalities. After conducting the official works it's a straight drive crossing Melli which is based at the border of Melli and West Bengal. The next stop would be at Jorthang where the travellers can have the lunch break, enjoying the delicious food of the north eastern region. After lunch it’s a continue trip to Yuksom, so that the place can be reached by early evening. For the travellers who wish to dispense money, the last ATM counter falls at Legship. On reaching Yuksom, the hikers will soon be accommodated in the guest house where they can have rest and relax for the rest of the day. Around late evening the tour guide will give a small briefing of the tour and help understand the trekking route, the rules of the trek, the environmental conditions that may be present and the essential commodities which should be carried along. Any physical ailment of any kind should be communicated to the tour Instructor. Yuksom also is the last destination where the travellers can think of final pick up of small eateries or other provisions that may be required in the trek. There are plenty of shops in the town where hikers can fulfil their requirements. The destination for the first trekking day is Siachen based at an altitude of 7200 feet. The total distance from Yuksom to Siachen is about 8kms and takes approximately 6 hours to reach the destination. Though many tour operators believe in travelling till Tshoka in one go, but it can be quite tiring and the enjoyment of the trek could be lost with too much physical exhaustion. In this trail one can find absolutely no shops and even the telecom network gets quite erratic as the elevation increases. Packed lunch should be carried since it’s a long day. The beautiful trail starts with sights of fascinating small huts as the traveller’s move forward leaving the villages behind. Enjoying the fresh air the trail continues crossing the vast landscapes and soon the trail lands to the valley of the serene River Rathong. Crossing the valley, the trekking trail takes a sharp turn to the forested lands which with each step becomes denser with thick growth of trees. After sometime, the travellers may feel difficulty since sunlight only peeks in few deserted areas but the rest of the trail through the deep tropical forest of oak, fir, bamboo and pine trees making the route quite dark. Many hikers use torches in this place to have a clear vision since the trail often remains congested with mountain yaks and mules. It is advisable to give way to the animals and stay close to the mountains. Trekking through the forest for around 30 mins, the trekkers ca reach the first bridge which is actually in absolute darkness except some occasional sunlight. Continuing on the trail the trekkers moves forward to experience the spectacular beauty of Tshushay Khola waterfalls which again flows to meet the Perk River and then crosses the second iron bridge. With each step in this region there is a sharp altitude gain. From here the next iron bridge comes after an hour of trekking over Mentogang Khola River. As soon as this 3rd or the last bridge of the day is reached, one can be assure that the altitude of 7100 feet is conquered. From here it’s another 20 minutes trekking to the campsite zone. Since it is a forested area, tents are set for sleeping for the night. It can be quite an exhausting day so it better to sleep early listening to the gushing waters of Perk River. Welcome the refreshing clear morning the next day and get prepared for a journey to Tshokha at 9,700 feet via Bakhim located at an altitude of 8600 feet. The scheduled trek for the day is not long, considering its only 7kms trek, but the time taken can be way long around 5 to 7 hours, since the elevation becomes steep from this point and hiking also gets much difficult. The hiking trail for the day starts through the forested areas towards Bakhim. One can find the presence of beautiful magnolias and Rhododendrons here. It’s about 1 km walk from Siachen before the next iron bridge over River Perk is reached. It’s fascinating to visualise the crystal clear waters of River Perk and savouring the mesmerizing ambience that characterises the location. From the bridge itself hikers can see the waving Prayer flags which marks the beginning of the Goechala trail. From here one can feel the altitude gain with each step till the destination is reached. After this point there remains a steep ascent through oak forest towards Bakhim. On the way the hikers can spot the sparkling views of Mount Pandim and Mount Tenzinkhay. The trail elevates fast here and the temperature also become much cooler. Soon the first destination for the day Bakhim will be reached. A short break can be arranged here. There is a forest rest house located which often trekkers use for long halts to enjoy the scenic extravaganza of Yuksom valley. Here are some excellent tea stalls and snack joints which can be enjoyed after the tiring ascent. One can refill water in Bakhim. After having some rest, the trek towards Tsokha begins for another 2kms. The next trail is a mix of steep ascents and descents and with full of slopes. Conquering 9000 feet the trekkers can cherish the view of excellent Rhododendrons and alpine berries spread across the area. Soon one can visualise the plateau of Tsokha and the campsite for the day. There are trekkers hut in this region, which are huge wooden huts with large rooms which can accommodate at least twenty trekkers. Apart from this there remain flat plains where tents can be placed for stay. This is a wonderful location with fascinating views of snow clad Himalayan peaks with the sight of Kanchenjunga and Pandim dominating the view. Bathe in the serene beauty of nature and have a pleasant sleep at night in the tents. The next day of the Goechala trek is destined for a trek to Dzongri enroute Phedang. The altitude gain for the day would be 12, 980 feet crossing Phedang at 10,500 feet. The total distance for the day’s trek is about 9kms and it takes about approximately 7-8 hours to reach the destination for the day. Phedang falls absolutely in the mid of the whole distance since Tsokha to Phedang is 4.5km and Phedang to Dzongri is also the same. The hikers must have packaged lunch and enough water for the trek since on the way there is no place to refill the same. The trail is a steep ascent so proper precautions are mandatory as it is not an easy journey for the trekkers. Within minutes of climbing, trekkers can find the trail leaves Tsokha, way behind and moves forward amidst red rhododendrons which fill the heart with happiness. Especially if the visit is conducted in spring season the trail remains filled with red blossoms making the pathway quite romantic and passionate. The rocky terrain at the beginning of the day slowly transforms to a paved one with wooden logs. However even though there are fascinating pathways in midst, the rocky and steep climb continues giving a hard time to the legs and knees of the trekkers. However the hard time is not done as the trail continues through stones ad pebbles till it reaches Phedang. This is an excellent scenic location to have rest and enjoy lunch with the scintillating views of nature entertaining all. After having rest and regaining some fresh energy, the trek continues for Dzongri. High steep climbing is found very common in the next phase of climbing and proper protection should be taken for it. After almost an hour of travelling, the hikers can get the sight of the worshipper flags host here for praying. With so much altitude gain one may suffer from height sickness, headache and loss of oxygen. But soon the same will be adjusted, and if the problem persists it is better to consult the tour guide. The trail continues amidst in line trees and stretched meadows with the background of snowy mountains making it quite a heartfelt experience for the onlookers. After reaching about 12,980 feet, campsite, place the tents and have a much needed rest for the night. The next day begins by trekking for an hour to reach the desired campsite for the day, Dzongri top at 13,675 feet. Today is the rest day so after reaching Dzongri, all hikers can set up the campsite and relax for the day. More so since the altitude gain the day before was quite high and body needs some time get accustomed with this height. The pictorial view from Dzongri is quite mesmerizing and very rejuvenating which also helps in relaxing and gaining fresh energy for further trekking the next day. Here trekkers can find a whole lot Tibetan prayer flags that covers the area and keeps fluttering fanatically with the breeze. The greatest highlight of this location is the sight of the impressive snow peaks of the Gigantic Himalaya range that is absolutely awe striking. The prominent peaks from here includes Kanchenjunga (8534 m), Kabru (7353 m) and Mount Pandim (6691 m) beautifying the horizon with a sight which is unforgettable. Apart from this, the spectacular sight also includes Koktang (6147 m) and Narsing (5825 m), and other peaks like Frey Peak, Kumbakarana, Jupono, Simro and others. The best part of enjoying in Dzongri is by taking small walks in the area and enjoying the natural extravaganza at its best. Photography can be enjoyed a lot here, clicking some amazing scenes of the Himalayas that remains treasured for lifetime. It is advisable to explore the area rather sleeping in the tent during day time. The scheduled destination for the sixth day trek is a walk to Thansing at 12,900 feet after crossing Kokcharang at 12,000feet. This is an approximately 8 kms trek but with lot of slopes and favourable pathways, the destination of the day can be reached in not more than 4-5 hours. The initial trail is among lush meadows and dense rhododendron plantations making the trail quite beautiful. The deep forested areas come next where colourful tiny birds welcome the travellers. Then it’s a clear descent to Kokcharang where even the final destination for the day can also be eyed. Kokcharang is an equally wonderful sight where hikers can drink in the natural beauty and refill some water for the rest of the trip. Though there are trekkers hut in Kokcharang, ther place for setting up tents is very small and congested. So without wasting time it’s a straight walk down towards the bridge of the Prekchu River. The Prekchu River is based on close distance to trekker’s hut which can be travelled in few minutes. The bank of the river has fine space to sit back, relax and take rest for some time. It’s actually quite musical down here with the gushing sound of rippling waters and chirping of the mountain birds. After taking some rest in this location and enjoying the cool breeze from the river it’s a straight 2 km trek to Thansing. The trail starts from the other side of the river through beautiful rhododendron trees. In spring, the blooms make a more pictorial view which is absolutely alluring, spread all over the trail. Since the trail is a gradual ascend and not at all steep, at the beginning the trekkers get the chance to enjoy the walk as well as enjoy the beauty of the region. The forested land however stretches till midway from where the rocky climb begins. The tough terrain also, does not stretch long since very soon the lush meadows come into view attracting the trekkers to set up the campsite. On reaching the campsite at Thansing, the trekkers can enjoy hot lunch and relax for the rest of the day. The temperature is quite high so proper protection must be taken in terms of clothes and blanket. The food consumed should be light meal as heavy food can work havoc during ascend to high altitudes. More of liquid consumption is advisable. The next day trekking schedule comprises of travelling to Lamuney which is based at an altitude of 13,650 feet and it takes about two hours to reach the destination. The trekking schedule, for the day is quite relaxing so the morning call comes at 8 with breakfast at 9 and scheduled departure set at 10am. Today the trekking activity is the easiest one and more of fun than being tiring. The road towards Lamuney as expected is quite sober along the meadows with over stretched pastures on both sides, that looks simply mind blowing. The trail to Lamuney is quite decent though close to campsite the trekkers get a hard time with the steep rocky climb to move forward. On reaching Lamuney, hikers can cherish the hot lunch and relax in the fascinating ambiance. For the enthusiasts however, there remains more adventure to explore. At a distance of nearly 2 kms from the campsite lies the beautiful Samiti Lake waiting to be explored. The distance from Lamuney campsite to the Lake can easily be covered by an hour walk but the trail is not so smooth and covered with stones and pebbles. Camping beside the lake is not allowed but trekkers can surely visit the location, enjoy its fascinating beauty and come back to the base before night falls. The sight of the lake is quite mesmerizing with gushing crystal clear flowing high and hitting the hard rocks at the banks. Photography can be enjoyed here a lot with all those alluring pictorial sights, just waiting to be captured in the camera. At the campsite, the tour guide will give small briefings about the big day tomorrow, and what needs to be followed before reaching the destination. The nature of the trail and what to expect will be stated way ahead. In the night enjoy the sparkling clear sky and the beautiful array of stars looking so bright yet so far at such an altitude. It is advisable to call in, it a day early, and fetch good sleep as the next day should be started in the early hours. The eighth day is the D day of the trek and it is also the toughest and the longest day where the trekkers reach the destination Goechala at 16,000 feet and comes back to Lamuney. It is a long trek of 18kms and the approximate time to cover the distance is about 13 hours. The call for the day comes at 1 am in the morning. The reason to leave early is to have maximum time in hand for both ascend and descend. Also leaving early, hikers can enjoy the beautiful sight of sunrise in the Himalayas without which the trek would lose half of its charm. It is instructed to the travellers to keep the bags packed well in the night only so that after returning back to the campsite, the travellers can have lunch and leave for lower campsite, if time and weather permits. After leaving the campsite it’s a known trail to begin with, towards Samiti Lake, which takes about an hour to reach. From here it’s a steep ascent towards View Point 1 which is based at an elevation of 15,100 feet, at a distance of about 5kms from Lamuney. Usually it takes about 3 hours to climb the point but it entirely depends on the speed of the trekkers. From the Samiti Lake it’s a steep climb to the ridge which again should be travelled with much caution as its narrow and moves through the sides of the mountains. On reaching View Point 1, the next destination is Goechala Lake which is descent to 15,700 feet taking approximately one and half hour and then again a steep rise to 16,000 feet which takes about another 40 minutes. However the risk of moving towards View Point 2 can only be taken if the weather remains good. The beautiful sunrise in these awe striking snowy mountains is simply captivating. The glowing morning sun spreading its crimson colour on the dark snow creates magical effect which is so unique and breathtaking that words are insufficient to describe the exquisite scenery and the heartfelt pleasure to view the same. The other peaks spotted here from the top includes Kabru South, Kabru North, Kabru Dome, Kangchendzonga, Gocha Jupano, Pandim, Sinvo and Tenzingkhang. After spending some time at the View point and admiring the beauty at the most, descend to Lamuney at the earliest. On reaching the campsite at Lamuney cherish a hot lunch and pack the belongings for a further descend to the next campsite at Thansing or Kokcharang. It is better to descend as much as possible in the same day before opting for the campsite. However on reaching Thansing, it can be called a day with a good night sleep at the tents. The next day of the trek is set for descending from Thansing at 12,900 feet to Tsokha at 9700 feet. The total distance for the trek down is 16kms and it takes about approximately 7 hours to cover the distance. The journey for the day starts nearly at 7 am so that the destination for the day can be reached by latest 3 to 4 pm. Packed lunch should be carried along to avoid camping for long in the afternoon. The first destination is Phedang which takes about 4 to 5 hours to reach. The trail back is quite interesting and direct without much diversions crossing Dzongri. Moving from one mountain to another the trail moves on towards the rhododendron forest which needs to be crossed to descend further. The environment here is quite fascinating as the rich forest vibrates enthusiasm and renewed energy. The pathway is quiet simple with not much difficulty and no steep stretches which also helps in conducting a pleasant journey. The most astounding view in this trail is the sight of Mount Pandim with its snow clad peak jutting out and glorifying the trail. Though its only 5 hours journey to Phedang, it can be quite tiring and that is why it’s better to take some rest reaching Phedang. There are plenty of temporary camping sites where trekkers can sit and have their packed lunch in soothing atmosphere. The cool breeze of the mountainous region is quite comforting that refreshes the mind. One can take time to have some snaps here and enjoy the rich ambience. After having the desired rest time, the trek continues towards Tsokha through the same trail through which the earlier journey was conducted. The distance from Phedang to Tshoka is about 5 kms. The trail as described earlier moves through forested lands and rich outgrow of flora and fauna which is not much difficult terrain specially while descending. However it is better to avoid too many breaks on the way to reach Tsokha way before dark time. On reaching Tshoka, call it a day, and set up the tents for a hot delicious dinner and a good night sleep at the tents. The next day is also quite long so take as much rest as possible. The targeted destination for the day is Yuksom which was the commencing point of the trek at 5,670 feet. It is a long 15kms trekking distance and the ideal time to cover the same is approximately 7 hours. The day starts early as usual breathing in fresh air and commencing with revived energy for a long day. Packed lunch is carried along to lessen the break time on the way down. The trail for coming down is absolutely the same which was taken while ascending towards Goechala. Enjoying the view of the snow clapped Himalayas this is a pleasant trail filled with natural extravaganza. The road as described earlier is devoid of steep turns which also make the journey less tiresome and more pleasurable. Just as mentioned above, the trail passes through prominent destinations of Bakhim and Siachen, before moving forward to the three iron bridges and finally moves towards Yuksom. From Siachen the road is not that favourable considering the zig zag format and continuous up and down losing altitude. Hillock climbs categorises the final destinations of the trail. Though it can be quite strenuous after a long day of physical exhaustion, but the best part is, it is only a few meters. After crossing the hillocks, the trekkers finally reach the beautiful Yuksom neighbourhood. Just before reaching the town the telecom network returns which help the travellers to quickly get in touch with family and friends to assure well being. However overlooking hilly villages and small establishments it’s a pleasant come back to the Yuksom town. On reaching the town get settled in the guest house and rejoice with a lovely shower, handsome dinner and a goodnight sleep. However for the enthusiastic visitors, there remains always an option to explore the town in the evening. Get in touch with rich culture of the natives and get to know more about their heritage and religious beliefs. The people here are quite simple and warm and interacting with them is always a pleasure. If time permits, travellers can visit one of the Sikkim monasteries to get the exact flavour of the culture. It is also a good time to access the local shops and find out more about the local materials and handicraft items available here. Take time to browse the available gift items for near and dear ones and also carry a souvenir as a memory, of the wonderful trekking trip of the past few days. 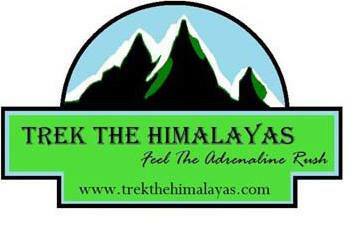 Indeed it is one of the best treks in India . The next day is ideally the final day of the trekking expedition. It is advisable to start early since a long drive awaits the day. Enjoying the beautiful sunrise from Yuksom, pack the luggage and have a delicious breakfast before commencing the journey. It is best to start by 8am so that travellers can reach New Jalpaiguri station by evening. The distance for the day is 150kms which ideally should take not more than 8-9 hours. However this entirely depends on the road conditions as well as the traffic congestion existing on that particular day. The journey back is also equally scenic and pleasant with the view of the Himalayas at the distance which makes it quite a pleasure ride. Lunch can be enjoyed at Jorthang where there are several eateries serving good chinese, Indian, continental and local foods. After enjoying lunch start at the earliest to reach the station way before designated time. Since the travel time is not fixed, it is always suggested to the travellers to book an onward journey from New Jalpaiguri Station at late hours. And if trains are not available at night, the vacationers can opt for a single night stay at New Jalpaiguri and arranging for a forward journey, the next day. However the speculated time to reach New Jalpaiguri is 5pm. New Jalpaiguri is one of the prominent places in the Jalpaiguri district of West Bengal. If time permits, the travellers can visit the famous HongKong Market which is about 4kms from NJP station and Bidhan Market which is based at a distance of 5kms from the station. Explore the finest goods available here and spend time tasting at the fabulous eateries of this region. In scheduled time move forward for an onward journey. TTH’s Tata Sumo or similar vehicles will pick-up you from NJP Railway Station at 9:30am. 7. Transport from NJP to yaksum and return. Normally TTH expect to carry your personal luggage on your own, if you don't want to carry your backpack so you can give it to porter, but you have to inform us in advance and have to pay Rs. 350/- extra per day per bag. 2. Reach the starting point on your own.